Cleaning out my shoe closet a few weeks ago, I realized that I have an obsession for shoes with bows. It’s so strange, but it’s just what I gravitate towards. 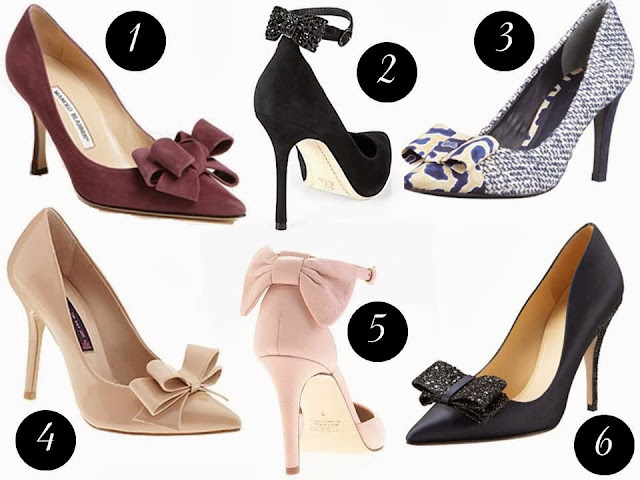 Since I seriously can’t possibly add another pair of bowed shoes to my closet, I figured that I’d share a list of bowed shoes here.